On Tuesday Silly Lilly take a shot at being a city planner. She moves cement blocks and discovers bugs. The blocks become bug houses, and several houses together become a bug city. On Wednesday she’s a singer, but her backup band (Teddy and a doll) are not very cooperative. The rest of the week is filled with athletics (as an acrobat), terror (as a vampire), and education (as a teacher). What four- or five-year-old hasn’t imagined themselves as a cook or singer or vampire or teacher? As Lilly says right on the book’s cover, “I can be anything!” and readers will immediately agree. 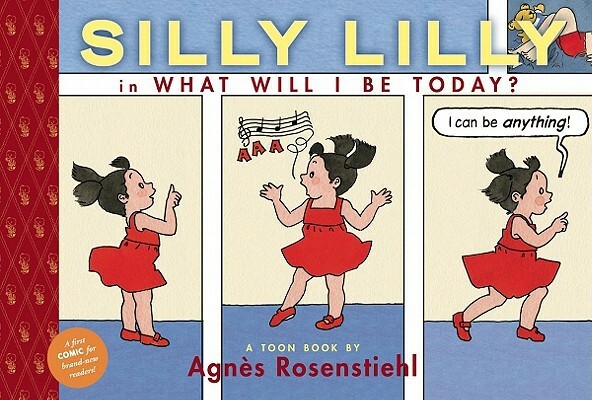 Agnes Rosenstiehl introduced Silly Lilly to readers in Silly Lilly and the Four Seasons. In her first book Lilly shares activities she enjoys in all the seasons, starting with a trip to the park in spring. “There is so much to do at the park,” Lilly says. She likes to dance and jump … and nap. Her lovable Teddy, however, just sits. In summer Lilly discovers a shell at the beach. Fall includes apples of all colors, and winter includes snowballs and a messy game of snowball catch with Teddy. Then it’s spring again, and Lilly, probably back at the park, plays on the swing. Both books feature only one or two frames per page. The frames in each story are numbered, and pages are numbered too. 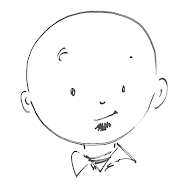 Lilly’s silly activities are the same as most emergent readers. If you reader fits nicely on a grown-up’s lap, he or she will relate to all of Lilly’s imaginary careers as well as playing in the park, the beach, and the snow. Silly Lilly, whether she’s enjoying the four seasons or the days of the week, is an excellent introduction to comics for emergent readers filled with simple text and engaging, age-appropriate activities.